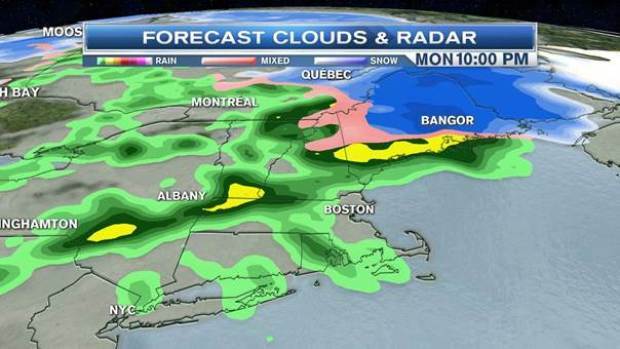 Sun-filled for Christmas, but Monday brings a chance for wintry mix. With last night providing clear skies (perfect for Santa and his reindeer), temperatures did drop below freezing, which did allow for some roads to refreeze from yesterday’s rainfall, so please make sure to take it easy on your travels this morning. 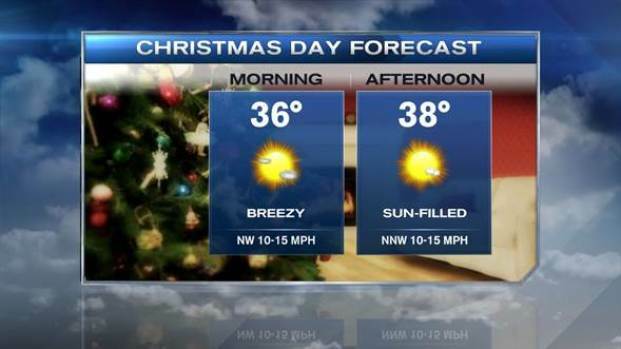 Otherwise, the rest of our Christmas Day brings plenty of sunshine and breezy at times with gusts up to 30 MPH. High temperatures will reach into the upper 30s to near 40 south, 30s north. After sunset this evening, temperatures will take a plunge. Monday morning lows will range from the single digits in far northern New England to the lower 20s in southern New England. Monday late afternoon and into the evening brings the threat of a wintry mix. 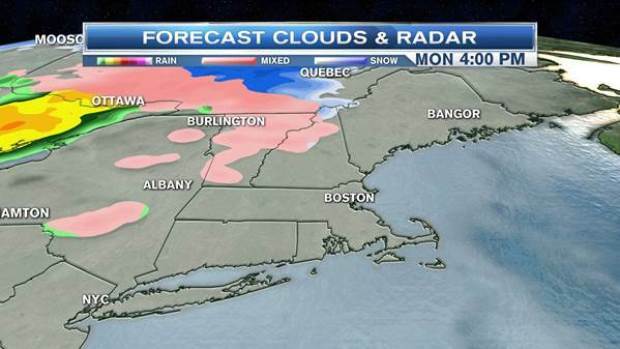 It will start in northwestern New England (Vt & NH) as early as 4 p.m. and the system will spread west to east, ending as a wintry mix to rain in Boston Monday night into Tuesday. After the lingering showers move out, sunshine returns by Tuesday afternoon under partly cloudy skies. To round out the last week of 2016, high temperatures range in the mid to upper 30s south, 20s north with a system that is likely to move through on Thursday, bringing another dose of wintry precipitation, followed by a cool-down just in time for New Year’s Eve. Stay tuned for the very latest updates to your forecast as we countdown the days to the New Year.